What's your perspective on reporting? The current state of sustainability reporting? The number of material issues that a company should report on? The quality of assurance processes? The credibility of sustainability reporting? The way reporting has evolved over the past few years? Whether the GRI is a good reporting framework? Whether G4 will make things better or worse? The target audience for sustainability reports? The frequency of reporting and ESG disclosure? Who should provide sustainability report assurance services? Have you got perspectives on all of the above? Because, if you haven't, the new global CR Perspectives survey brought to you by CorporateRegister.com will help you develop some. And not only that, after presentation of the survey at a big-splash event on 29th April in London, at which time the results of CRRA '13 will be announced, you will be able to get a free copy of the entire survey results. And by that time, if you haven't developed some perspectives of your own, you can borrow someone else's! CR Perspectives is a global survey about my favorite subject: sustainability reporting. And it's happening just at the right time, as sustainability reporting is in a state of flux and promises to be even more flux-ish during 2013. The survey is structured around three recurring themes of the CorporateRegister.com approach: Content, Communications, Credibility. The planned launch of the new generation GRI Framework "G4" in May has raised some heated debate, based on the exposure draft which was published last summer. There are those who say it's going to frighten off reporters. "Unfortunately, in our estimation, if the G4 Guidelines were implemented as currently drafted, undue complexity and reporting burden would be the order of the day." That's a quote from Aleksandra Dobkowski-Joy, a voice which counts in the world of sustainability. On the other hand, Dwayne Baraka, of the influential BITC in the UK, says, "I think that on balance the changes are a step in the right direction." And summary discussions from G4 workshops in Australia gave the following perspective: "The overall impression was that the proposed changes to the reporting framework were ambitious, optimistic and a leadership challenge for organisations. It was also perceived that the changes represented considerable barriers for smaller organisations ...." With just two months to go until all is revealed, what's your perspective? Integrated Reporting is also chugging along and is a concept which splits the reporting world. You can provide your input to the IIRC Consultation Draft until mid July this year and take a look at some examples of how companies are approaching Integrated Reporting. There are some who say it's all a big puff of hot air and it will make very little difference to the way we evaluate and respond to corporations. 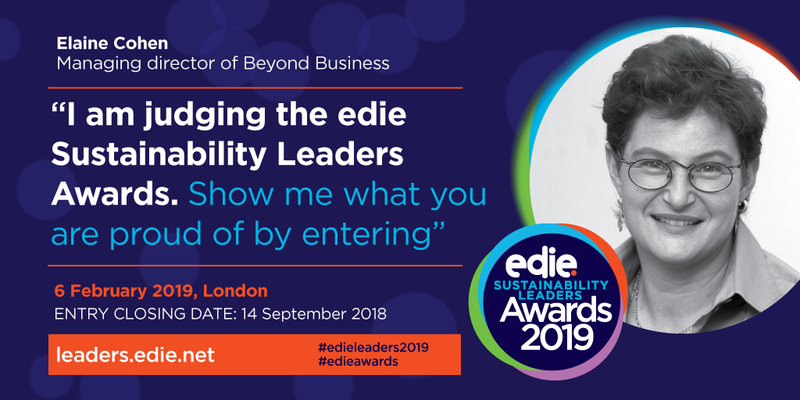 See this comment from Lorraine Smith of SustainAbility: "If the desired effect of reporting is to enable change, then, it would seem the jury is still out as to whether integrated reporting will accelerate change or merely rephrase the degree to which change has (or hasn’t) taken place." On the other hand, there are those who say integrated is the only way to go. Read this, from the Global Accounting Alliance. "When authentically implemented, integrated reporting offers measurable bottom line returns and ‘future-proofs’ companies." Ahemmm. Please wait till I pick myself up from the floor. What's your perspective? I believe the jury is still out on whether assurance has helped assure stakeholders of reporting credibility. First, the uptake of assurance is still low, and the quality of assurance varies. Many of the false claims in sustainability reports are actually found in reports that have been assured by an independent third party. Is it time to abandon assurance in favor of a new system? At UPS, they love assurance. But that's mainly for its internal benefits. Joss Tantram goes even further, saying: "I have tended to believe that a report without an independent assurance statement is not worth the paper that it is printed on." Ahemmmm. Picking myself up from the floor once again. Does assurance assure? I am not so convinced. What's your perspective? Then there is the whole debate about single one-document reports (either printed or downloadable as a PDF) versus web-based reports which get updated more frequently than once a year. Should companies move to quarterly reporting a la Timberland? Or is more frequent reporting "inherently unsustainable" .. a "hamster wheel which never stops spinning"... at the prominent CSR commentator Mallen Baker argues. Well, I have a perspective on that. Hint. If sustainability is a long term thing, why would I get all excited about quarterly reporting? What's your perspective? What is the best framework for Sustainability Reporting? ISO26000, although not a reporting framework, and not a certification standard, is now being adapted to provide structure for sustainability reports. BT indexes its Better Future Reporting against the ISO26000 framework. The UN Global Compact has been ramping up its Communication on Progress frameworks over the past few years, providing differentiation and proprietary criteria for reporting against the UNGC Leadership Blueprint. While there are attempts at alignment, there are substantial differences in approach. What framework really offers best value for stakeholders? Or do we need to go back to the drawing board and, with the benefit of hindsight, start all over again? What's your perspective? Anyway, that's just a taster. I am very interested to see everyone's perspectives, so I welcome this survey, which I have already completed, adding my perspective, and I hope there will be a massive response so that we get a collective perspective which may help influence how reporting continues to evolve. Help create a balanced perspective. Add YOUR perspective! Complete the survey here. If you want to see the detail behind the headlines, read the full article here. If you want even more detail (but not too much! ), then you might consider investing in my book, Sustainability Reporting for SMEs: Competitive Advantage Through Transparency. Of course, it all sounds nice on paper, but the practice requires discipline and just a little thought and effort (but not too much!). Here's an example of a great SME reporter which unfortunately I couldn't profile in my book, due to space constraints. MHPM (MHPM PROJECT MANAGERS INC) is a Canadian SME, formed in 1989 as its founder, Franklin Holtforster led the construction industry by recognizing the need for independent representation of the owners interest during the design and construction of buildings. Today, MHPM is a business with 312 employees distributed in 22 offices across Canada, from Pacific to Atlantic coasts, with annual revenues of around $40-50M Canadian dollars. MHPM provides a range of services including Project Management for all aspects of building and infrastructure projects, Advisory Services to help maximize the investment value, efficiency and quality of real property assets, Sustainability Services to help ensure portfolios, buildings and infrastructure are worth more, cost less to operate and are better to work in, and Construction Services for project design, budget development, tendering and procurement of trade contractors, site supervision and project implementation. At the end of 2012, MHPM published a first Sustainability Report. Congrats! The report itself is two pages which are information-packed. The first page (pictured above) is an infographic with key sustainability performance for two years, 2010 and 2011, and the second page provides explanations and future targets. There is also an introduction by the CEO, Franklin Holtforster. It's simple, it tells a story of a small business which takes sustainability seriously, and it shows improving performance. It does not have the pyrotechnic-multimedia-bells-and-whistles of big company reporting (though infographic representation is considered state-of -the-art these days!) but it gets the message across. A fantastic example for SMEs everywhere. Ralf Nielsen, B.Sc., M.E.Des., PMP, LEED Green Associate, the Director of Sustainability Services at MHPM shared their Sustainability Reporting journey with me. Why did you decide to publish a Sustainability Report? "It was part of a corporate commitment made to our employees and stakeholders in 2009. We are committed to creating a sustainable built environment through advocating for sustainable design with our clients. Creating and publishing a sustainability report allows us to establish a baseline on sustainability performance for the company and communicate this to our clients and employees. It was a natural progression beyond getting our technical staff to gain their LEED AP accreditation and the establishment of Sustainability Services alongside our core business of Project Management. We see communications as a dynamic, on-going element of the relationships we have with our clients and employees. We are using our first report as a vehicle for stakeholder engagement. We are getting input into what they believe is material to MHPM and our industry. This will then shape our efforts on sustainability as well as what we report upon in the future. Unfortunately many believe reporting is an annual thing, when in reality, it should be integrated into the on-going dialogue with our stakeholders and within various levels of our organization but particularly those who have responsibility for employee and client relationships." What have been the key (tangible) benefits/outcomes of reporting for your company? and for you personally? "It is still early days – our first report was published in the fall of 2012. Reporting in and of itself has limited benefits. Yes, getting the message out is important, but how we actually deliver our work and services, as an advisory and project management company in building design and construction is key. That being said, we have gained insights from employees that will prove valuable to both our internal operations and service delivery. We believe the report has been able to “tell our company” story around sustainability for the first time to all employees in a concise, easy to understand and meaningful manner. We believe this will benefit the company through enhanced employee engagement, recruitment and retention and strengthen our relationship with leading clients." How has reporting empowered the people in your organization? "Again, it is early days, but we believe that employees are proud to point their key contacts, be it clients, colleagues, personal networks, etc. to the report and say that “I’m a part of a company that is committed.” More individuals across the company are signing up to our internal Green Team initiative that will focus on business operations and employee engagement." What have the key challenges been, especially as a small business? "Finding the time! It took quite a bit of time to select the right indicators (from GRI) that are relevant to the company and then to begin to collect the data, determine if we can disclose the information (because we are privately held) and then putting it into succinct form for our readers. We struggled to find a balance between writing a lengthy report using volunteer hours vs. a report that was succinct, to the point, but was lean on narrative and qualitative information. We chose the latter, primarily because, as an SME, all hands are focused on sales and delivering to our clients and we can build depth and content in the years to come." What resources did you expend on reporting? "We allocated a part time student for 1 day a week for four months for our initial data collection. During this phase we had an internal team of 2-3 people work on structuring the report, selecting a graphic designer, writing, conducting analysis, etc. We engaged internal business functions across the company only on an as needed basis. Final sign-off was by the corporate management team and Vice Presidents. All in, it took over a year and a half to compile and publish our first report, using volunteer time from various levels of MHPM. We estimate approximately 400 hours of time across the whole team was required from start to publication launch. We anticipate significant efficiency will be gained in our second report because the reporting tools, networks and framework have been established. We can also point to this first effort to be an investment that can pay off if one of our professional staff is retained for an additional year, or if an additional client is gained by the company, or if an employee spots business process efficiencies, or if it enables one of our staff to convince a client that a high performance sustainable facility is a sound investment." Your top tip for SME Reporters? "Determine your materiality early and then select your indicators. This will help guide everything else. But don’t deliberate too long as you can get caught in reflecting internally with little progress. Drawing a line in the sand and get on with the report – that is key. The first report won’t be perfect, but you can build upon it, use it in dialogue, communications, conversation and use the feedback to shape the journey and your efforts. Finally, I would say that sustainability reporting is only a means to tell stories. What are meaningful stories to stakeholders, particularly for clients and employees, comes down to the aspects that are material to them. For service oriented businesses such as ourselves, we need to demonstrate how we contribute and advocate for a more sustainable built environment. We are learning what this really means to our business practices, services and processes. It will be a journey and one that will be informed as much by what is material as by the markets and industry we work in." Fabulous insights and good advice from Ralf and a testimony to both the challenges and immense value that reporting brings, yes, even for SMEs. I would like to thank Ralf, and MHPM, for sharing their inspiring story and wish them good luck on the ongoing journey. I am sure reporting will get easier with successive reports and will demonstrate its value in many ways. Do let me know if you have a good SME reporting story - SME's don't often get good exposure - and the CSR Reporting Blog will be very happy to help spread the message.